While Dr. Florencia Meyer teaches forensic science at MSU, it’s her research that requires a bit of detective work. Meyer is a scientist in the Mississippi Agricultural and Forestry Experiment Station studying bovine respiratory disease. As a molecular biologist, Meyer hopes to unlock molecular secrets about the microbes that contribute to the disease’s cause. Bovine respiratory disease, or BRD, costs the cattle industry an estimated one billion dollars annually. The disease is usually caused by a combination of factors including stress, a viral infection, and bacteria present in the animal. Symptoms include fever, coughing, decreased appetite, and difficulty breathing, and the disease can lead to mortality. Vaccines are used to prevent the disease and treatment options include antibiotics and stress management. Despite these options, however, BRD remains the number one health problem for the cattle industry, causing widespread illness, death, and production losses. Meyer says part of the reason prevention and treatment can be such a challenge is because the disease itself and its underlying causes combine to create a moving target. “This is a multifactorial disease. Several viruses and bacteria, in addition to stress and environmental factors are jointly responsible for the development of this disease,” Meyer said. She pointed out that while researchers have studied how the host might respond to particular virus or bacteria, there hasn’t been a lot of work focused on how the microbes interact with each other once the infection occurs. Her current study includes co-investigator, Dr. Bindu Nanduri, associate professor in the basic science department in the College of Veterinary Medicine as well as undergraduate and graduate students. “In this study, we seek to understand how three microbes, in particular, impact each other during co-infection,” Meyer explained. Those microbes include two viruses, bovine herpesvirus type 1 or BoHV-1 and bovine respiratory syncytial virus or BRSV along with a bacteria called Mannheimia haemolytica. All three are common contributors to the disease. Meyer and her team seek to identify substantial changes in each of the microbes when the co-infection occurs. Meyer said she hopes this research helps lay groundwork that contributes to fighting the disease. “The project’s findings will provide valuable information for the development of novel vaccine or pharmaceutical formulations that can help reduce the incidence of BRD and promote animal health, thus helping to ensure the safety and sustainability of the U.S. beef industry,” she said. 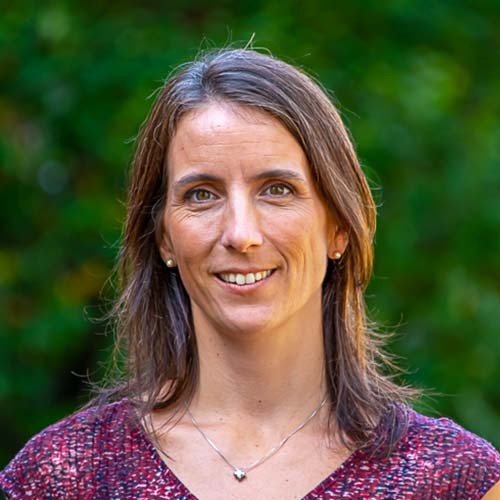 While Meyer is currently studying three microbes at once, two of her recent publications centered on foundational research she has conducted on BoHV-1 alone. Most recently, the team ascribed a potential new gene for BoHV-1 with findings published in the journal, Viruses. “In this study, we found pieces of protein through mass spectrometry that didn’t match up with the virus’s 70 known genes. When we mapped those bits of protein to the viral genome, they mapped perfectly to a different region where a gene had yet to be annotated,” Meyer explained. She said the next step in that particular research is to learn more about the newly discovered gene’s function. In another study recently published in Veterinary Sciences, Meyer’s team characterized the BoHV-1 viral particle, which is all that is packaged inside the virus. She explained that when a virus first enters a host on a molecular level, it un-packages its DNA and proteins to replicate in the cell. The virus turns the cell into a factory, using machinery from the host cells to replicate itself millions of times in a number of hours. “At some point, the virus says it’s time to go, so it packages what it needs. It packages the newly made viral DNA and various proteins, then it exits the cell and goes to another cell,” Meyer said. She explained that by identifying what is packaged in that one viral particle, researchers can get closer to understanding what’s happening on a molecular level at the onset of infection. “By analyzing purified samples of the virus, we were able to describe what the virus brings with it as it initially enters the host,” Meyer said. Overall, Meyer’s passion for training the next generation about viruses is infectious. 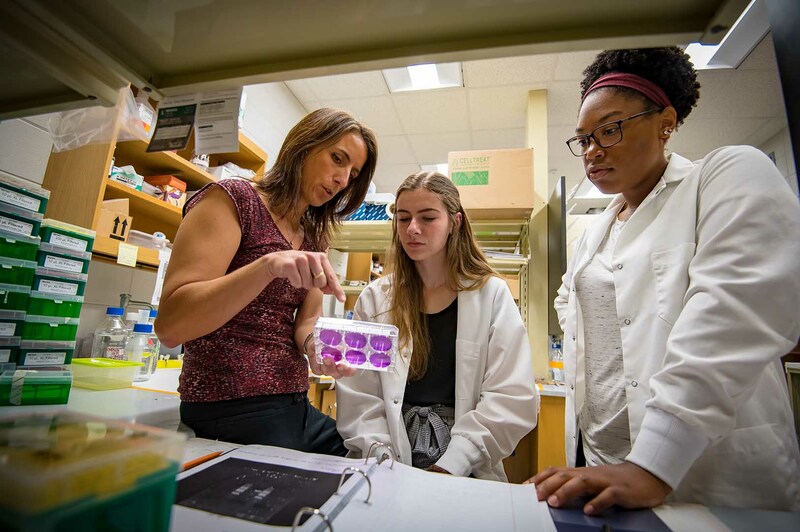 She’s brought several undergraduate and graduate researchers into her lab and tries to impart on them the thrill of a new scientific discovery. She has another expert in her corner cheering her on as well. Her mother, Dr. Julia Saizar, spent her career as a diagnostic veterinarian in Uruguay and conducted research on BoHV-1. Meyer said she enjoys sharing her new discoveries with her mother, who is now retired. “My mom asks about my work and is very excited when we come across something new. In a way, she has been able to continue her career through me,” Meyer said. 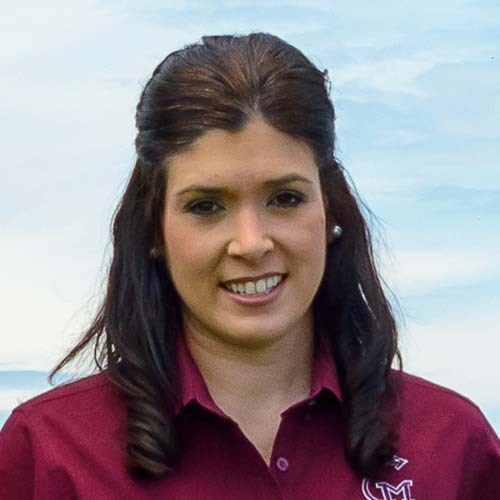 Dr. Brandi Karisch, MAFES scientist and Milton Sundbeck Endowed Professor in Southeastern Cattle Management, said Meyer’s work helps lay the foundation for finding better ways to prevent and treat this significant disease. 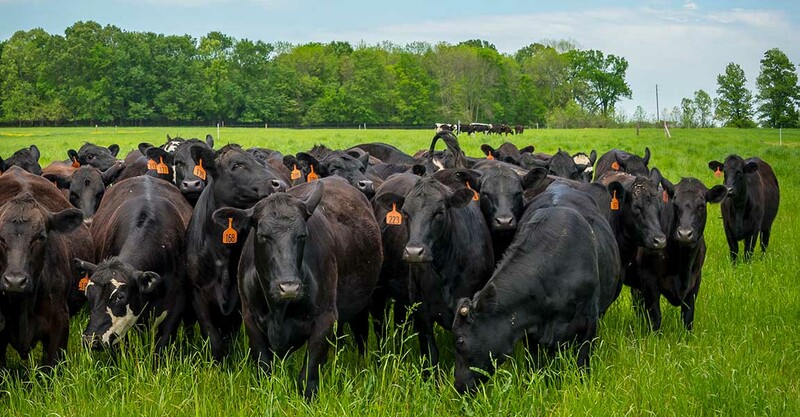 “Bovine respiratory disease has plagued the industry for decades and oftentimes, developing vaccines and antibiotics to fight this disease means using data that has been around for decades. The novel approaches Dr. Meyer and her team employ, especially in the area of proteogenomics, provide essential new information that will hopefully lead to new discoveries in prevention and cure,” Karisch said. Karisch also said Meyer’s research seeks to help establish better understanding of the multiple factors that affect this disease. For Meyer, in particular, that small picture drives her forward in her quest for new discoveries when it comes to unlocking the secrets of the pathogens that contribute to the cause of bovine respiratory disease. The research has been funded by the U.S. Department of Agriculture’s National Institute of Food and Agriculture, the CALS Undergraduate Research Scholars Program, and MAFES. Passion At Work: My goal is to understand the biology of viral infections to try to diagnose, stop, or prevent them. Passion At Work: Providing practical science-based solutions that work to help producers keep cattle healthy and minimize the impacts of bovine respiratory disease.